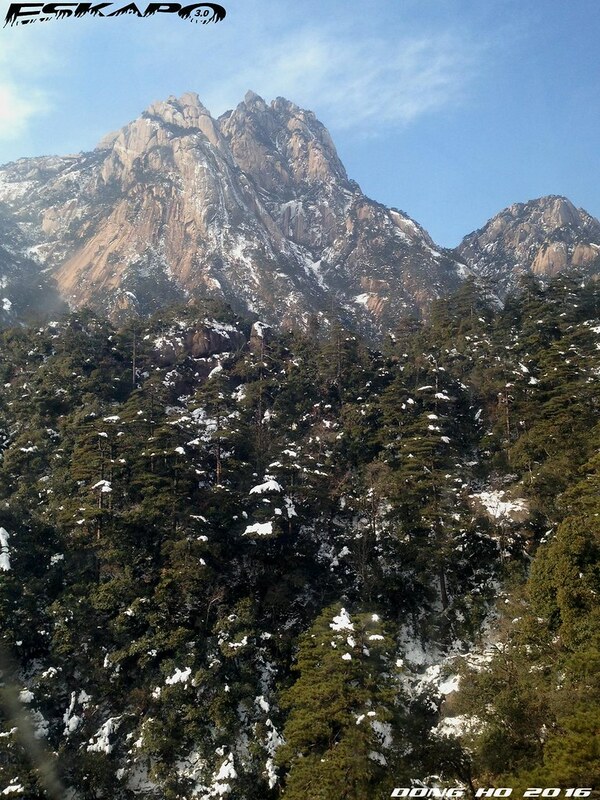 quite great that the morning sun the next day revealed to us one of China's most majestic mountains. we were greeted with blue skies but still under that chilly ambiance. this meant we got a perfect day to finally explore the granite peaks. we followed trails in search of some of its famous spots but ended up on some closed trails. 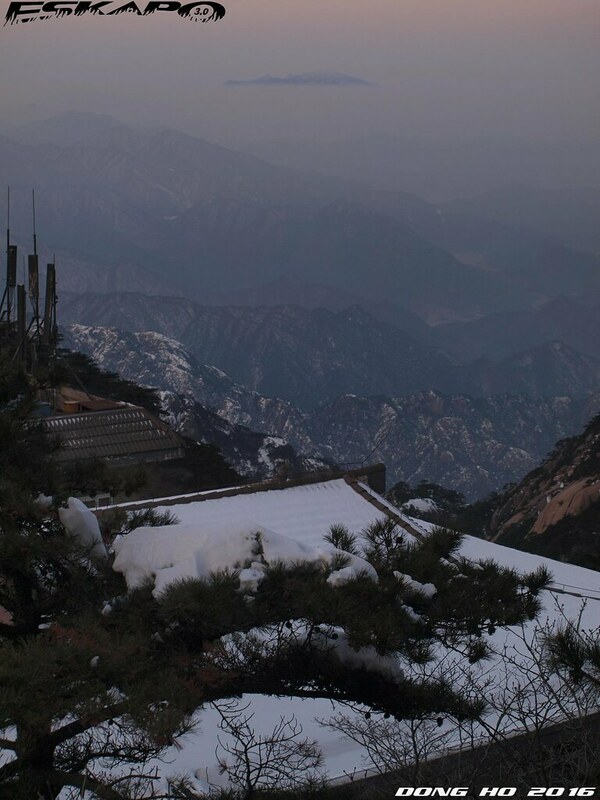 this was the bad side of hiking here during winter, we get to see this dreamy and snowy view of Huangshan but many trails were closed and prohibited for the safety of the tourists. the closest from our location, among the three major peaks, was the bright summit peak. 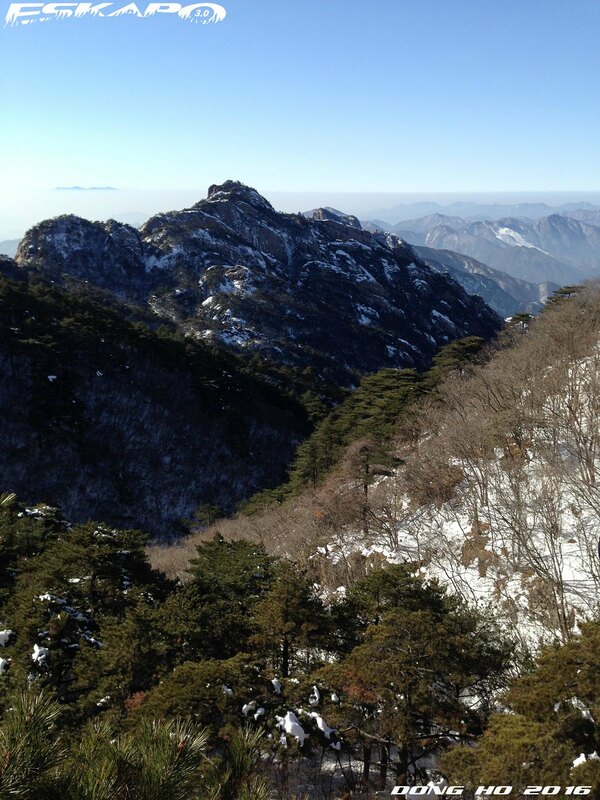 apart from these three major peaks, there are several other peaks that has interesting names like "Begin to Believe Peak", "Pavillion Eyebrow Peak", "Incense Burner Peak", "Stone Figure Peak" and "Threading a Needle Peak". the names probably literally based on the granite formation of its peaks. some trails lead to several crevices and very steep narrow walkways. 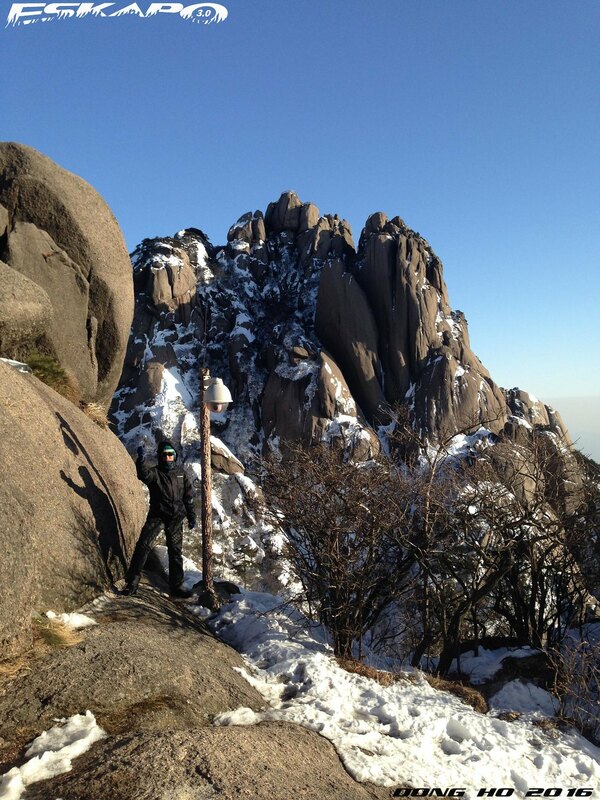 it was the only way to reach the other peaks which reveal Huangshan's otherworldly features. no wonder they gave all those weird names to the different peaks. in between some peaks one could see the inns and lodges which are mostly far apart from another. 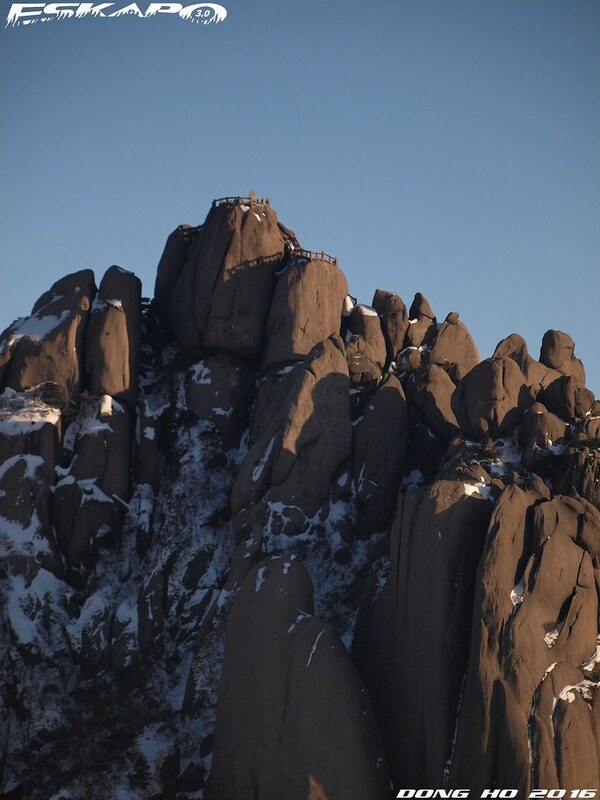 it look like miniature box structures in between the giant rock formations. 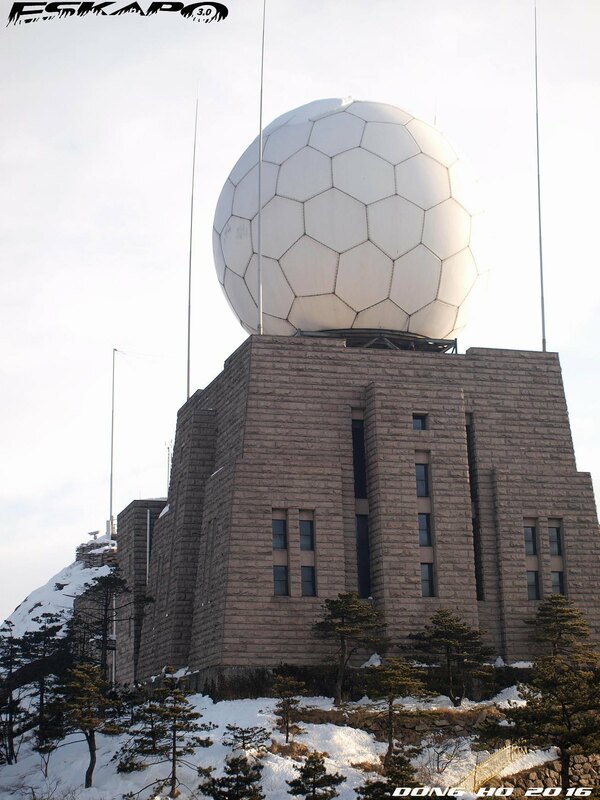 among the other landmarks include the weather station near the bright summit peak. 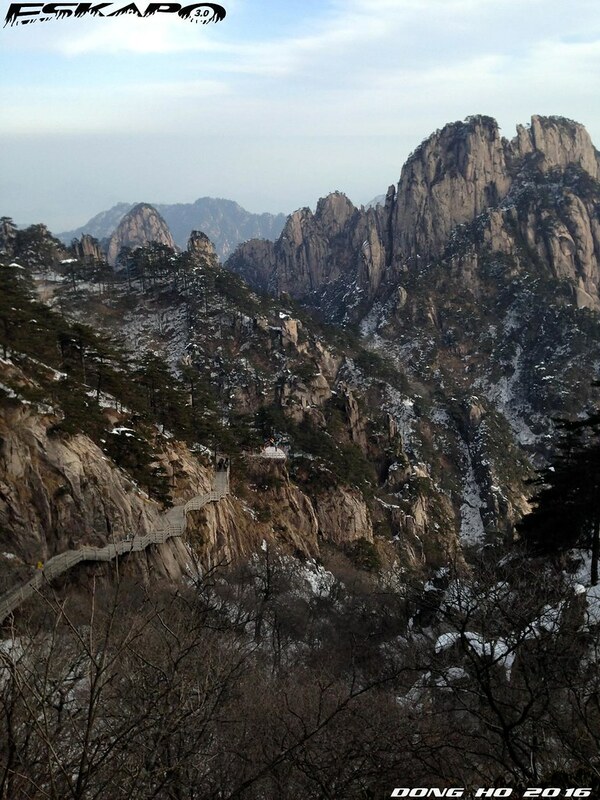 Huangshan is indeed a sight to behold and surely is one of China's greatest natural heritage. 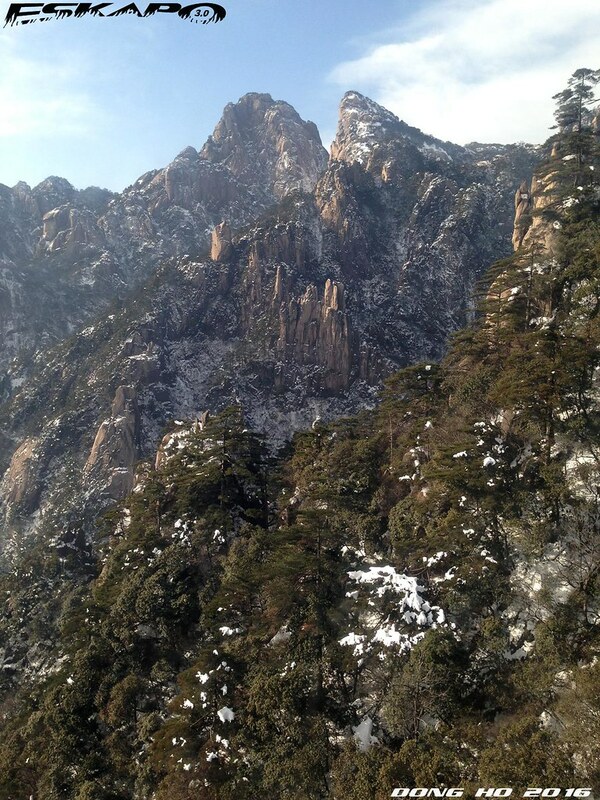 if this mountain somehow reminds you of some of the old famous Chinese paintings, it will most likely be Huangshan. thru the years, artists and painters would hike up the peaks and picture its majestic beauty thru their artworks. 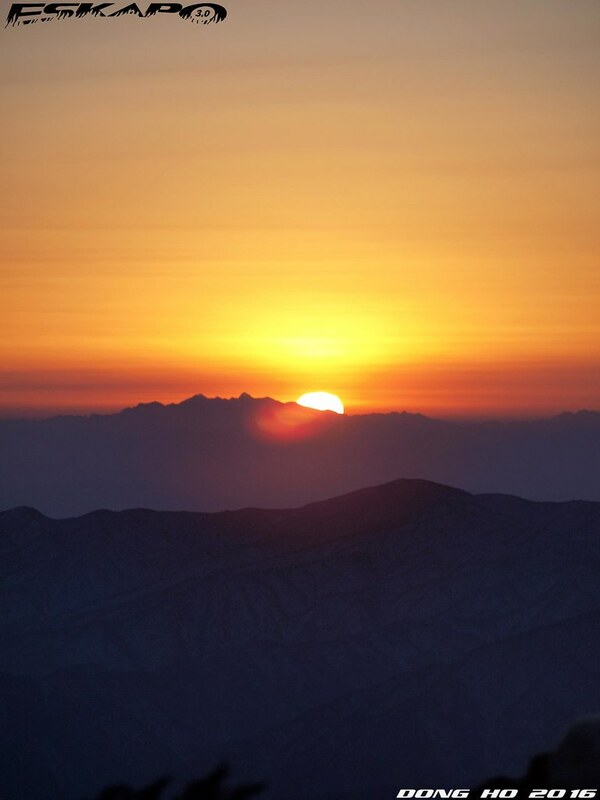 we stayed at the peak for two nights and made sure that on our second day we capture sunset. 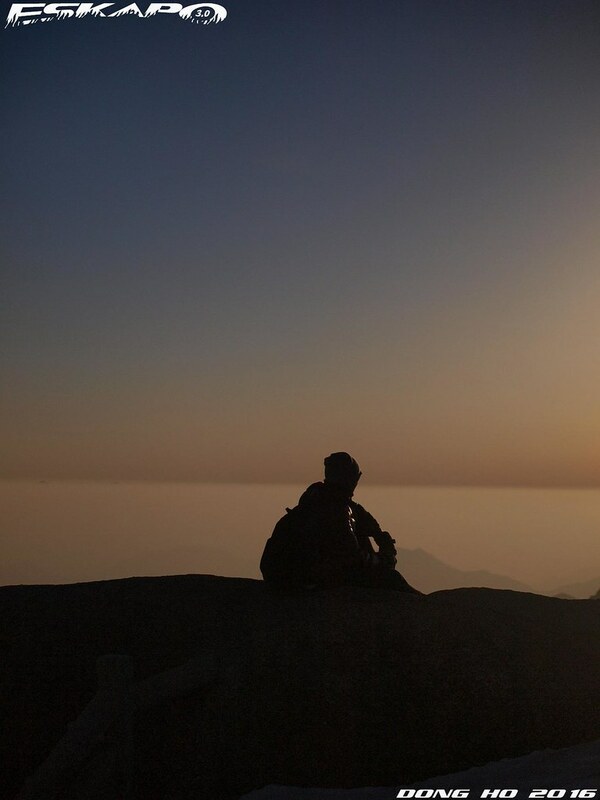 we chose Turtle peak to witness sunset. 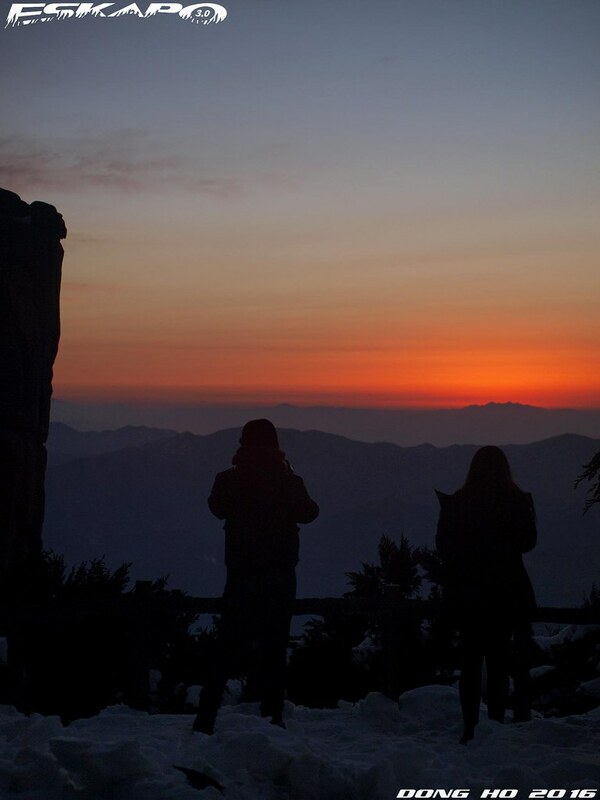 it may not have been as grand as the sunrise but it completed our Huangshan experience. There are several flights daily within China. Often coming from the major cities like Shanghai, Beijing, Guangzhou. 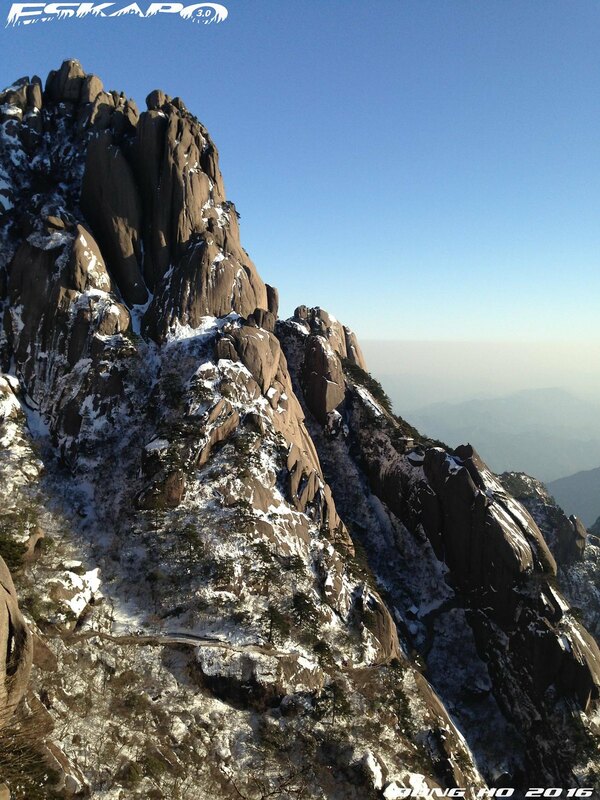 Take a plane to Huangshan-Tunxi Airport. 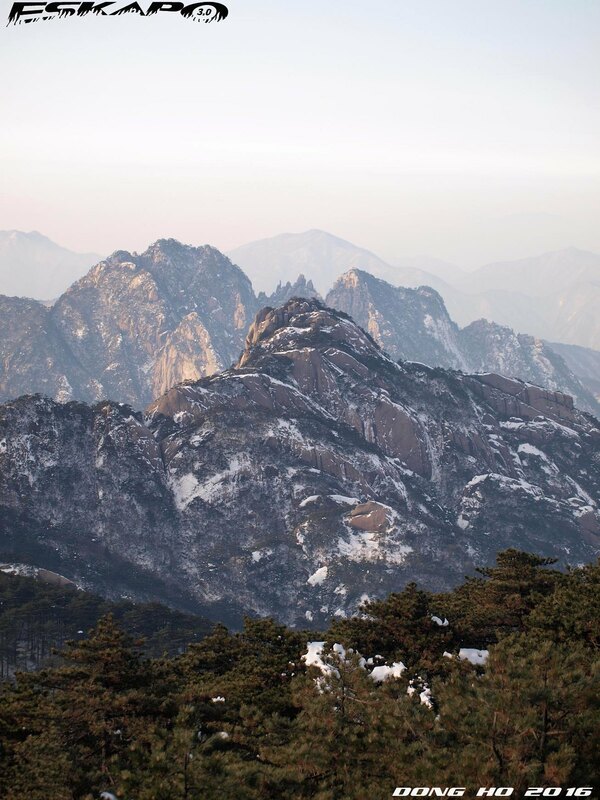 From the airport, take bus 19 to Qiyun station (1 hour or less) which will lead you to another bus terminal to the drop off point of Huangshan. there are several options to get to the top depending on the season. you need to coordinate with your hotel to get this information. once you reached your drop off area, you can choose to take cable car or trek your way up. during winter though, most of the trail up are closed for safety. there are daily train trips. Take the train from Shanghai Hongqiao Station to Hefei Station (6 hours) or Shanghai to Huangshan North Railway Station (6 hours). 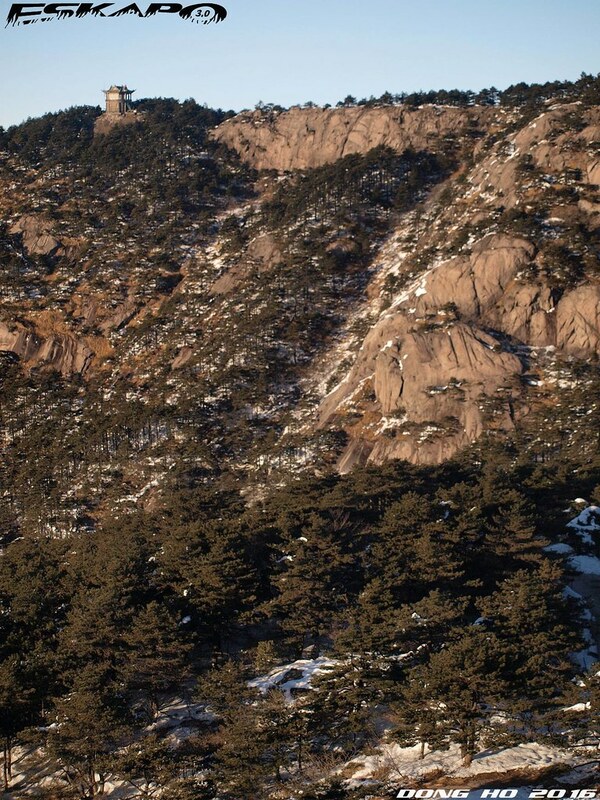 From here, take bus 19 to Qiyun station (1 hour or less) which will lead you to another bus terminal to the drop off point of Huangshan. there are several options to get to the top depending on the season. you need to coordinate with your hotel to get this information. 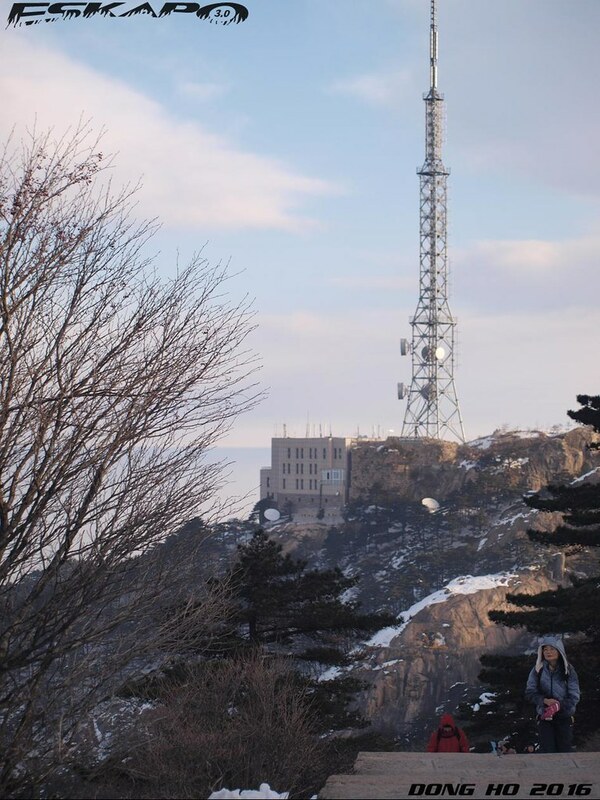 once you reached your drop off area, you can choose to take cable car or trek your way up. during winter though, most of the trail up are closed for safety. 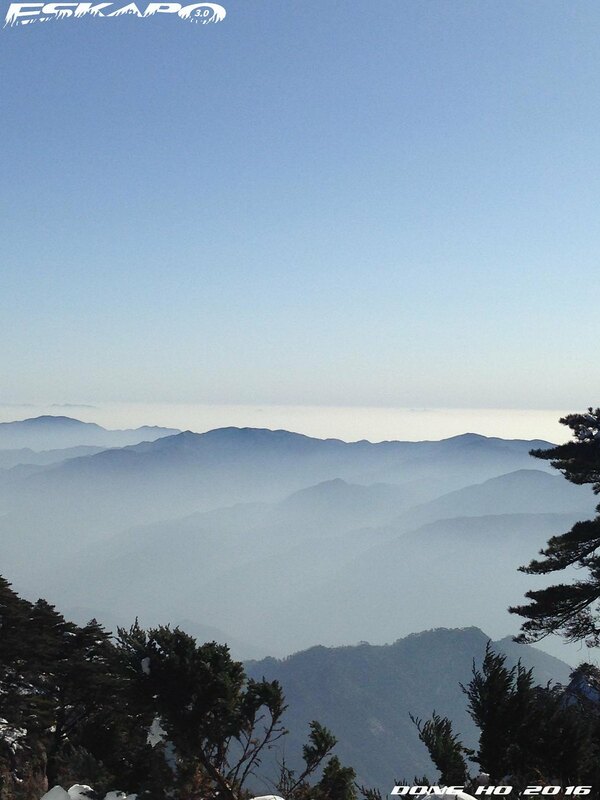 there are daily bus trips from Shanghai and Hangzhou to Huanghsan. go to Shanghai South Bus Station and take the bus trip to Tunxi. 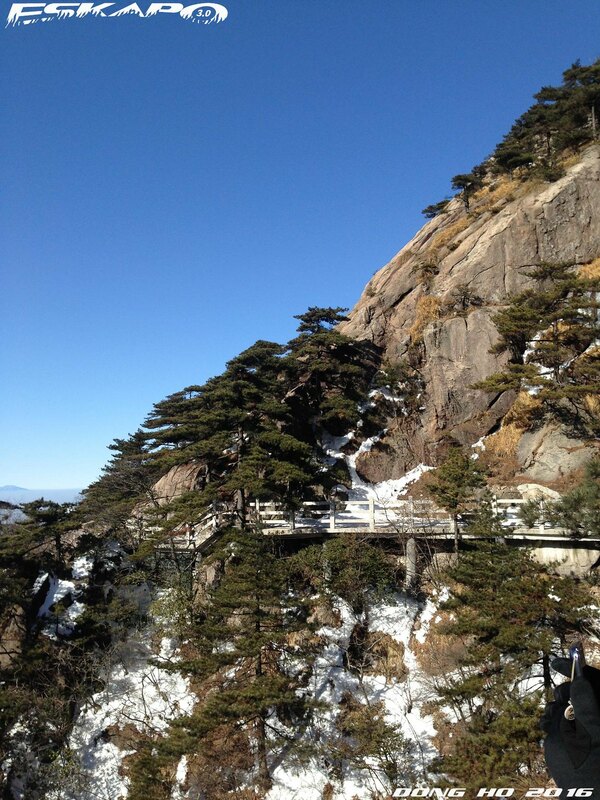 you need to tell the bus conductor to drop you at the bus terminal to Huangshan drop off (depending which route/options you will take). once you reached your drop off area, you can choose to take cable car or trek your way up. during winter though, most of the trail up are closed for safety. 1. once you've booked your hotel, let them make a detailed instruction to get there. so as for you to get the updated options. 2. when you're in China, always take note that they have several airports, train stations and bus stations even within one city. so it is very important that you make sure which of these stations or terminals you will be taking. i even recommend that you have a copy of it in Chinese characters. the way you pronounce these places might be different and they might end up leading you to another place. 3. you can actually book online for train or bus tickets, please make sure that you know where to pick up these tickets. online bookings usually requires you to bring your online booking to a ticket station to claim your tickets. so make sure that it is clearly specified which station you can get your ticket. I really miss your regular postings. ey Josh! great! looking forward to your posts as always. 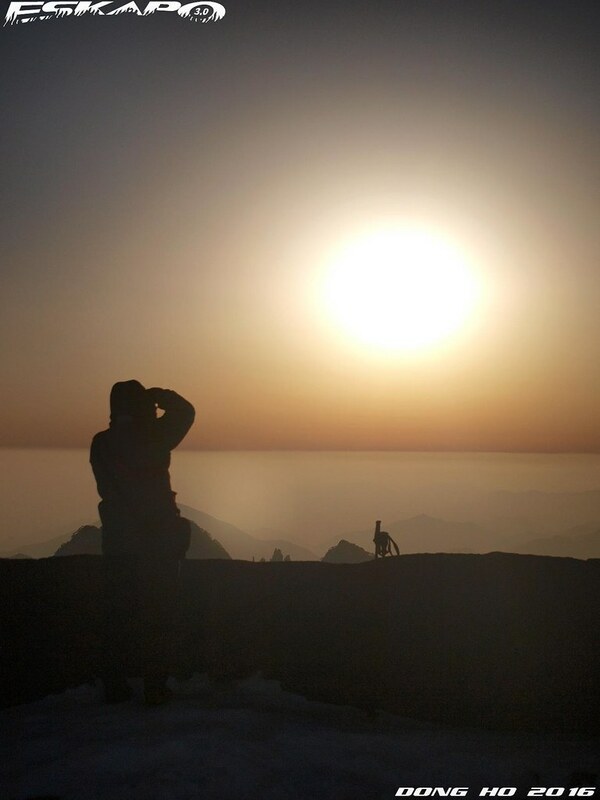 Photo Cache, i too miss documenting my trips. thanks for following.